If you know anything about composition, you know that you can often vastly improve images by doing some judicious trimming. 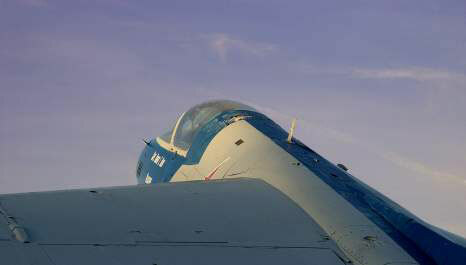 At first glance, the figure appears to be a photo of a powerful jet fighter climbing into the sky at dusk, possibly preparing to attack an enemy in a dogfight. 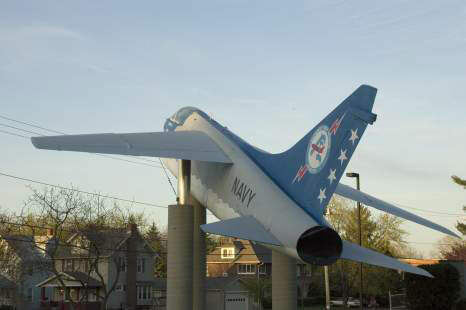 As you can see, it’s a photo of an old jet mounted on concrete pylons on the front lawn of a high school. It was difficult to get a good angle. So, the photographer shot a picture anyway, darkened it a little to make the image look more dramatic, cropped the image tightly, and trimmed out some utility wires to produce a much more exciting view. Create a rectangular marquee around the part you want to crop to and then choose Image→Crop. Photoshop trims off everything outside the selection marquee. Draw around the area you want to crop with any line-oriented selection tool, including the Lasso, Polygonal Lasso, and Magnetic Lasso. The area specified doesn’t even have to be remotely rectangular in shape. However, you end up with a cropped rectangle. 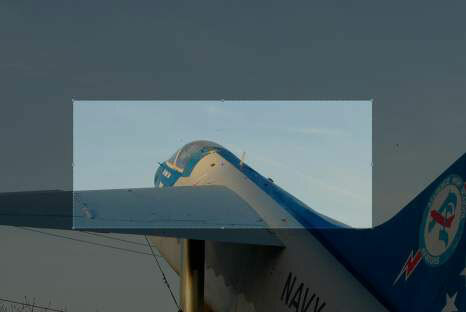 Photoshop crops to the smallest rectangle that includes the entire image within your selection. Perhaps the image you want to preserve is included inside a border that’s roughly the same tone, such as a picture frame surrounding a photo hanging on a wall. You might be able to select that border with the Magic Wand and then reverse the selection by pressing Ctrl+Shift+I (Command+Shift+I on the Mac) and cropping to the image that’s now selected. Use the Crop tool. It is probably the best choice because it allows you to adjust the borders of the selection individually before making the crop. Select the Crop tool (press C to make it active or select it from the Tool Palette). Drag a selection that roughly includes the area in the cropped image. Grab the handles on the top, bottom, or side selection borders, and then move in or out to adjust the cropping exactly the way you want. Notice that the area outside the crop selection darkens, making it easier for you to visualize the final picture. Press Enter (Return on the Mac) to apply the crop to your image.